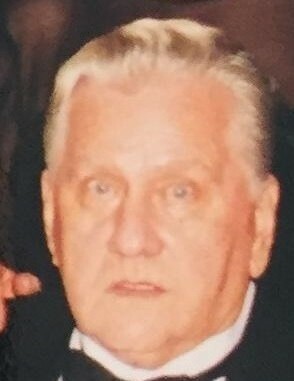 Obituary for Louis E. LaPlante, Jr. | Varnum Funeral Home, Inc.
North Brookfield - Louis E. LaPlante, Jr., died Tuesday, January 29, 2019 in the Overlook Masonic Home in Charlton. He leaves his daughter, Midderice Dunivan and her husband Brian Rosenthal of Milford; his son, Louis E. LaPlante, III and his wife Nancy Anderson-LaPlante of Trentwoods, NC; a brother, Richard LaPlante and his wife Agnes of Gilbertville; a sister, Jean LaPlante of Hardwick; four grandchildren, Jacob Dunivan, Brittany LaPlante Solberg, Louis E. LaPlante, IV and Andrew LaPlante and many nieces and nephews. He also leaves his dear friend, Kathleen Bowen, whom he cherished like a daughter. He was predeceased by his wife of 37 years, Phyllis (Fish) LaPlante in 2000, and his sister, Lillian LaComb. He was born in Ware, son of the late Louis E. and Jeannette (Furgal) LaPlante, and had lived in North Brookfield for 55 years. Louis was a Machinist at Pratt & Whitney before retiring in 1970. Louis was quiet by nature, and enjoyed doing various projects around his home. After retiring, he learned how to cook and bake. He was fan of soap operas, and had been following Days of Our Lives daily for nearly 50 years. He was a member of St. Joseph's Church in North Brookfield and was a United States Navy Veteran of the Korean War. A Funeral Mass for Louis will be held on Tuesday, February 5, 2019 at 11:00 AM in St. Joseph’s Church in North Brookfield. Calling hours will be held Monday, February 4, 2019 from 5 to 7 PM in the Varnum Funeral Home, Inc., 43 East Main St., in West Brookfield. Burial will be in St. Joseph Cemetery in the spring. In lieu of flowers, memorial donations may be made to the St. Joseph Cemetery Perpetual Care Account, St. Joseph Parish, 28 Mount Pleasant St., North Brookfield, MA 01535.